Fortunately for me, I had an idea of what I was planning on getting when I bought my car. I wanted a 1999 or newer Honda Accord EX, 4 cyl or 6 cyl didn't matter, but I wanted it to have leather, and I wanted it to be around $2000. Oh, and despite the fact that I LOVE driving vehicles with a manual, an automatic was a "must have" feature due to my commute that's going to be starting up in June. Unfortunately, starting in June I'll be sitting in traffic for 20 miles each way every day to and from my new school. Today I drove about 50 miles just running errands such as Costco, a trip by my school, as well as a stop to pick up my first textbook for the Spring semester from my friend Kenny and a quick stop by Barnes and Noble to grab some semester break reading. The best thing about the first day out in the car is I have been able to figure out some things about the car that I like, as well as several I do not. What I like about the car so far is the engine and transmission are incredibly smooth and quiet. 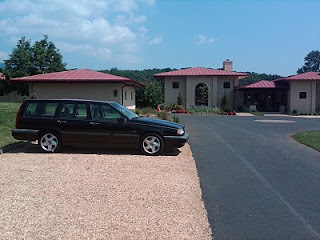 The car is comfortable and not frustrating to drive like the Volvo was. I don't feel angry driving it like I did on occasion in the Volvo. Having a proper trunk, rather than a wagon is also incredibly nice. 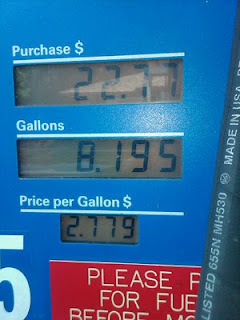 I wasn't worried about people peering into the car after a stop at a store or two, unlike the Volvo. Now, there are a few minor annoyances. First, the cup holders are more annoying than the ones in the Volvo, and quite frankly, I thought that was impossible. For a 21 oz beverage (McDonalds Medium, Burger King Small, or the same size of beverage you get at the Costco food court) you almost need to stuff extra padding since they're wider than what I've gotten used to, which means my 21 oz diet cola was leaning and sloshing for the entire time I was running errands. 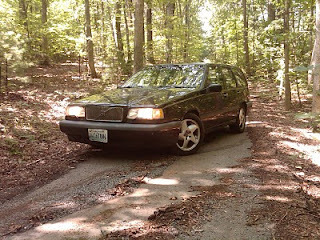 Second, there are a few things I got used to having in the Volvo that I already miss. The Honda doesn't have heated seats, or a trip computer. Nor does it have heated seats or any way to hard wire my iPod into the car stereo without pulling the head unit. All things considered, though, I'm happy with the vehicle so far! Eventually, all good things do come to an end. While I have certainly been slacking on updating for awhile, the Volvo is now, unfortunately deceased. While it was a good three years, the impending major surgery the car was going to require to remain on the road made it very much not worthwhile to keep the car on the road. So, I replaced it, with another vehicle with over 100k miles. The new car is only 3 years newer, but has about 30,000 miles fewer. 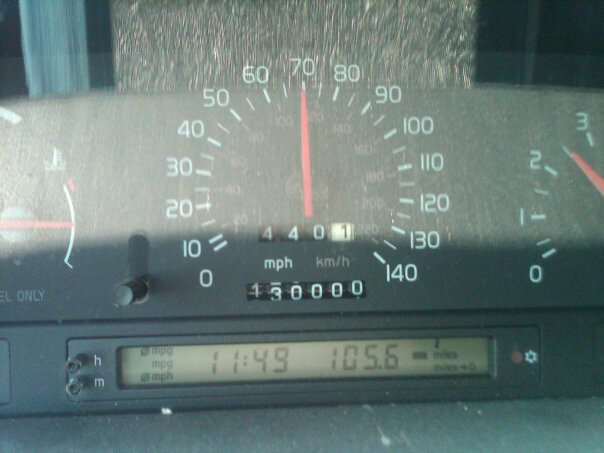 While yes, the Volvo only had 139,000 miles on the odometer when I traded it in today, the actual miles are completely unknown due to a common problem with the 850's. The Odometer gear broke. In the end, I survived the hottest summer on record in the DC metro region with no Air Conditioning, and the AC still was inoperable when I sold it. The Brake rotors needed to be replaced, and the tires were due for replacement, all in all, the car needed about $4000 worth of work to get it back to perfect condition, which in a car that's only worth about $500, it was unreasonable to even consider reparing. The new car is a 1999 Honda Accord with 138,000 miles. 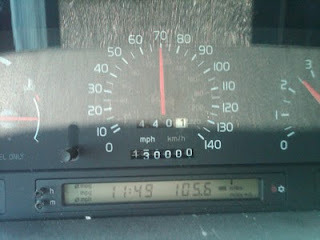 This time, the mileage is actual. So, the journey continues. 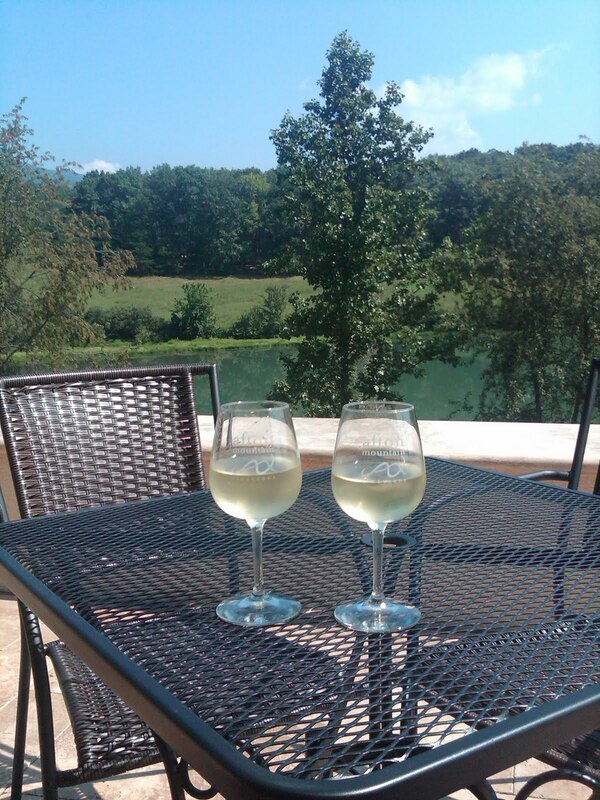 Stay tuned for a few upcoming trips! No really exciting trips recently, just running errands. The Volvo has started using Oil at a rather alarming rate (about 1 quart per week). No other new details. 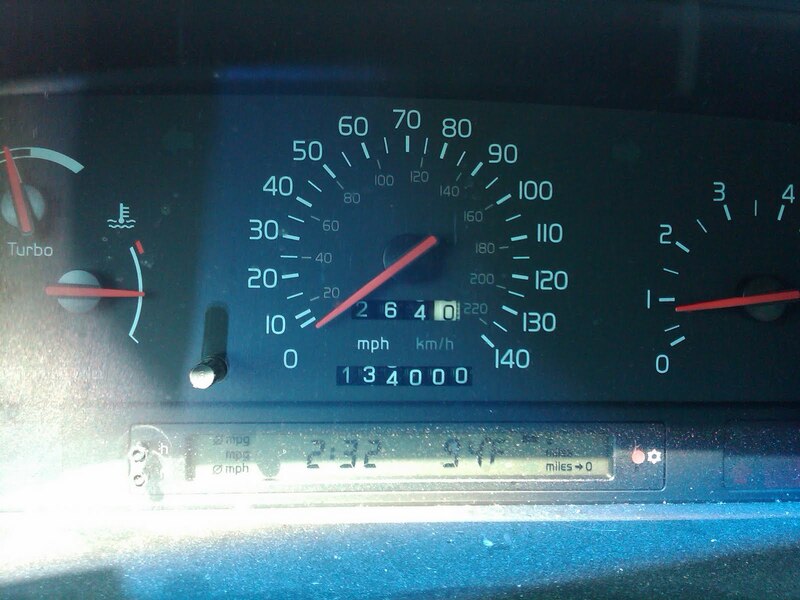 2010 started off with a bang, and the car started off with 125,310 miles. So far the big thing that happened with the car is the check engine light has now popped on twice with the same code. Apparently, my ECU is fried. Either way I can fix that tomorrow. It's not an urgent repair. I have one entry in queue still from 2009 that I haven't yet published. I took a road trip in the last few days. As far as 2010 goes, I decided that I'm going to be eating out less and cooking at home more. I bought two new cook books. First on the list was Julia Child's Mastering the Art of French Cooking Vol. 1. Quite frankly, I realized after the first thing I made out of this book, that it's going to be quite a money saver, however, my waistline is almost certainly going to suffer. Second, I bought a road trip suitable cookbook. "Manifold Destiny" Which is entirely a guide to cooking on your car engine. Now I'll be able to prepare a meal at home, throw it on the engine and have a fresh cooked dinner when I'm half way to my destination rather than running through McDonalds. Links to both books are at the end of the entry. Most importantly however, I've decided I'm going to kick it up a notch on this blog. The goal for 2010? At least one entry per day. Since I don't drive every single day, it'l be tough...(so far today, I've not gone anywhere...) but I think it will make this a whole lot more interesting. And here are the links to my latest books!